Typically, custom side sliding windows provide a larger viewing and venting area. 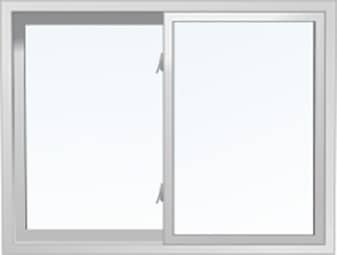 Meloche Side Slider windows include additional features such as being able to tilt inwards for easy cleaning, and when both windows slide to one side it is a means of escape in case of emergency. The sliding windows full-length sash handle that blends seamlessly into the window, along with the night latch which gives security and ventilation at the same time. Fusion welded frame and sash corners.